This week, I am positively giddy now that the holiday season officially is in full-swing. The weather is changing ever so slightly from blistering heat and rain to the 50-degree temperatures that any native Floridian like myself calls “cold”, Christmas songs are beginning to make their way into my Spotify radio, and every house smells of delicious home-cooked meals. I’m talking, of course, about Thanksgiving. A favorite holiday of mine for as a long as I can remember, Thanksgiving has always been associated in my house with overeating, boisterous family members, and all-around cheerfulness and this weekend will be no different. While family and thankfulness have always played a huge role in my Thanksgiving celebration, some of my fondest and strongest memories involve my kitchen oven opening to not one, but two, giant juicy birds being lovingly basted by my mother or father. Oh, I can practically smell the herbaceous, buttery feast wafting through the air as I type this article. Anywho, in honor of my deep love (read: obsession) with all things delicious, I’m devoting this week’s post to two of my favorite things: food and design. This week, we’re going to take a look at some of my favorite food-related websites and highlight some of their best features. Hungry for more? Who wouldn’t be?! Keep on reading! Quite possibly the king of food sites, and maybe even food in general, FoodNetwork.com makes the top of my list for this week’s post. I’ve always been a big Food Network fan. Some of my earliest memories involve watching Two Fat Ladies with Jennifer Paterson & Clarissa Dickson Wright while my mom hurriedly jotted down recipes (because you couldn’t just go to FoodNetwork.com after the show back then), laughing at my dad as he did impressions of both Julia Child and Jacques Pepin during Julia & Jacques Cooking at Home, or cheering on the “Green Peppers” during my favorite TV show at the time – Ready..Set..Cook!. There they are, in all their glory! 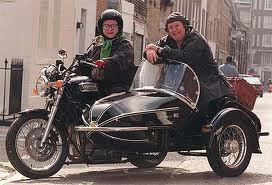 I’m not sure why more chef duos don’t ride around in a motorcycle with a sidebar. Check out that bird! Julia and Jacques, food pioneers! Yes, I was a very cultured 5-year-old. You’d never guess that my picky-eater diet consisted mostly of potatoes, chicken, and bananas until I was in my early teen years. But why I am telling you all this? It isn’t just because I’m a bit nostalgic this time of year, I assure you. 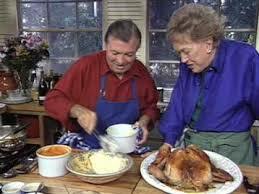 It is to demonstrate to you, that just like that turkey in the oven, Food Network holds memories that are deeply engrained in my childhood. They are the ones – in my mind, at least – who started it all. Before Food Network, many people found many cuisines inaccessible. Food was viewed as more of a necessity than an experience. This is what is important to note of the Food Network site today – it is really about the experience, rather than the design. 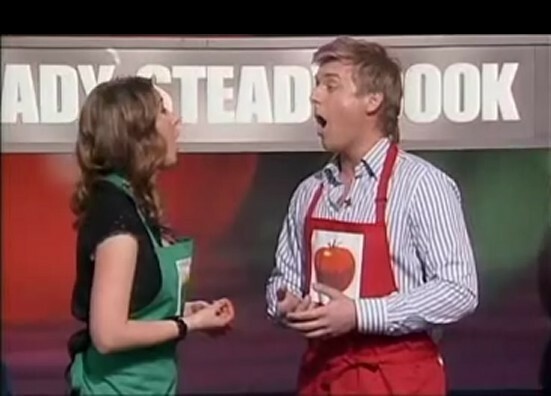 Each week we discuss how important it is to provide value to your users – what could be more valuable then a television network devoted to teaching people a valuable skill? And then to supplement that network with a website that makes it easy to find, save, print, and follow recipe directions? Food Network has provided a true multimedia experience for their users, with each medium dependent on another. 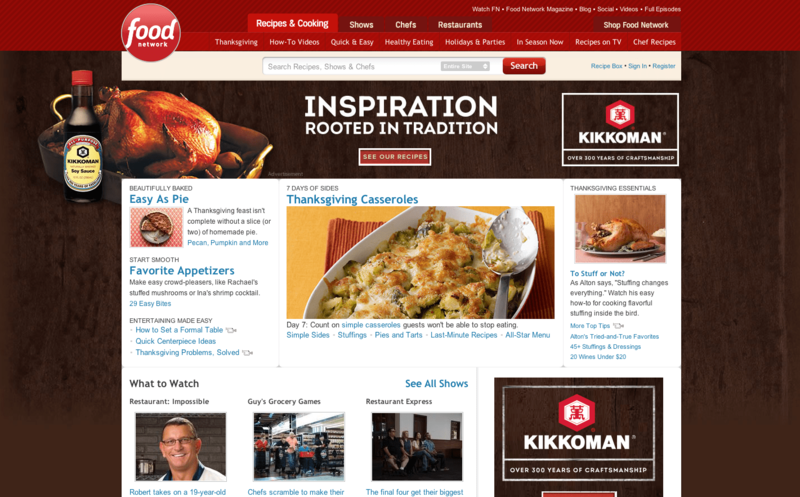 In addition, Food Network works very hard to choose chefs that users will like. What does this have to do with design and marketing? In a word: everything. Do you remember when Optimum7 wrote about Google Authorship back in 2011? Well, authorship is only growing more important to Google and to its users. Recent data suggests that users seem more likely to click on search results with authorship data, and even more likely when the authors are recognizable. Food Network works in much the same way. If you are looking for a delicious eggplant parmigiana recipe online, and are a huge Giada De Laurentiis fan (like myself) you’re probably more likely to click on a recipe with her name next to it. Well played, Food Network, well played. While Food52, is a new resource of mine, I have quickly come to love both the content and design on this site. Food52 began as a place for cooks from all over the world to exchange recipes, ideas, and support. Most recipes involve fresh, wholesome ingredients that are definitely do-able for the average home cook. 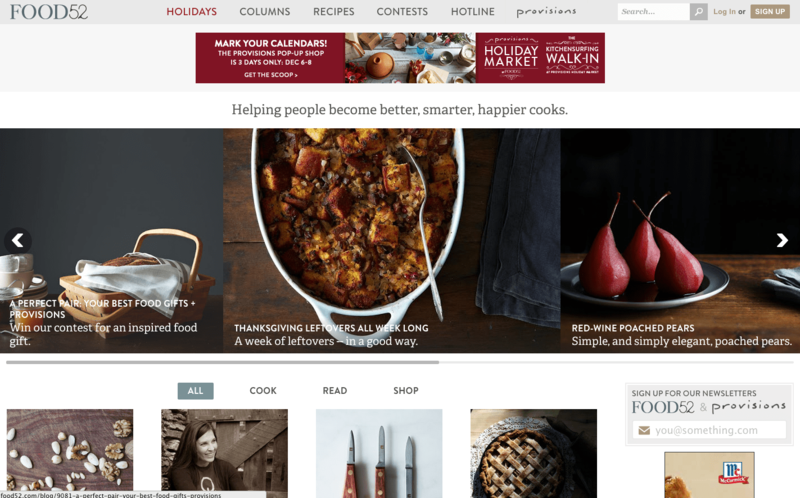 As far as content goes, the site is always timely and even boasts a Holiday tab this year that houses everything from tips on transporting food on Thanksgiving to recipes for the procrastinating holiday cook. Food52 also does a superb job of demonstrating their content visually. Seriously, take a look at their site (when you’re done reading this article, of course) and tell me that your mouth doesn’t start to water. I also appreciate the different personalities of each writer on the blog. Similar to Food52, each chef has a unique point of view to share with the world, but what is truly special is that most are cooks on a “less professional” level. However, the passion for their food is palpable and genuine. This helps to make their content much more down to earth and likeable to users. Food52 also recently opened Provisions, their online store. The store boasts everything from homemade beer making kits to intricate oyster knives. Provisions is a way for the folks at Food52 to provide extra value to their audience, ensuring that they have a reliable marketplace for purchasing specialty home and kitchen items. Not only does this provide value to their audience, it makes them more valuable as a company as well. The Food52 store increases value for the user by providing a reliable marketplace to purchase specialty home and kitchen items, and makes Food52 more valuable as a company as well. Finally, I’d like to mention that Food52 and Provisions are both fully responsive. The clean layout, beautiful photography, and excellent branding all contribute to a superb content strategy and wonderful design. Way to go, Food52 – now I can follow this delicious tomato soup recipe at my desk or in my kitchen on my mobile phone! 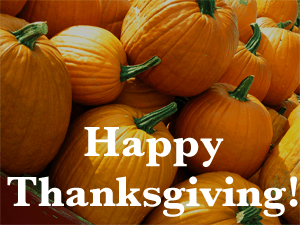 Looking for a scrumptious, country recipe this Thanksgiving? Look no further than Ree Drummond’s Pioneer Woman blog. Ree describes herself as a “desperate housewife living in the country.” Looking at the floral header on her site, we can truly see a site that follows its brand personality closely. 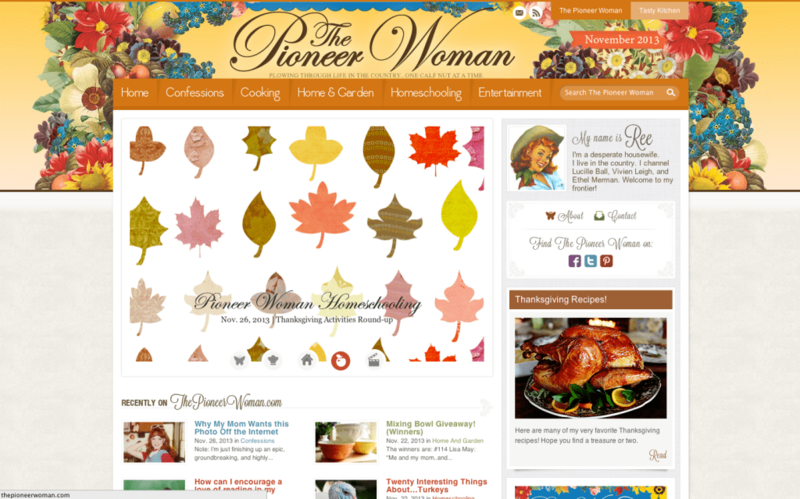 Her site is cozy, rustic, and welcoming, just like all of her food and her personality. In addition to a consistent brand, Ree also provides valuable tips on cooking, home and gardening, homeschooling, and entertainment to her readers and viewers. One of the best aspects of this site (from a marketing perspective) is the way her calls to action are subtle yet effective. On her homepage, you’ll find many articles and photos on a range of topics, but nestled on the right hand side of the page is a link to her latest cookbook. The link then takes you to a blog post featuring tidbits from the book, with understated links at the bottom leading to where you can purchase it. This is important because I am a firm believer that the best way to sell something is to not really sell it at all. Instead of saying outright “buy my book now!” Ree describes what’s in the book, the value it provides, how much fun she had putting it together, and then nonchalantly adds, oh, by the way, you can buy it here. She makes it look absolutely effortless, and personally, I can’t wait to get my hands on a copy! For me, food is a fantastic experience that involves all of your senses, and Thanksgiving is truly a celebration of food. Of course, it is about family and friends, and being grateful for all the gifts we’ve been given in the past year, but for me, all of these gifts have been very closely associated with people preparing and then devouring a delicious meal around a crowded dinner table. What I’d like you to take away from this week’s article is to design your products, websites, and experiences around the user. Consider your own memories, celebrations, family and friends when building something new. By providing a valuable, memorable experience, utilizing an appropriate media, and relating to your users, I can practically guarantee a successful end-product. I’d like to thank everyone who has read this article, and everyone who has been reading my articles over the past 18 months or so. I hope that I have, and will continue to, provide value through my experiences. Wondering if your site is providing enough value to your user? Contact Optimum7 today for a free consultation!